One of the things that struck me most about a recent transatlantic KLM flight to Washington Dulles with my two young children was the ease and convenience of starting the journey from a small, regional airport in the UK. We arrived at Durham Tees Valley Airport in northeast England just over an hour before departure, breezed through security with only three people in front of us and had just enough time to relax with a latte in the newly-refurbished café as we waited for our Embraer 175 flight to Amsterdam Schiphol. Having cleared security at our local airport, all we had to do when we got to Amsterdam was follow the clearly-marked transfer signs for our connecting flight to Dulles. This was all made possible by the fact that KLM operates a network of flights linking its Amsterdam hub with some of the UK’s more obscure and underserved regional airports. With the exception of a few charter flights and a turboprop service up to Aberdeen, KLM’s three daily flights to Amsterdam are the only commercial air services to operate from my local airport – which you’d probably never heard of, until now. 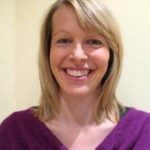 This could be set to change, however, as the local mayor is attempting to push through plans to bring the airport and surrounding land back into public ownership in a move that he claims will “secure our airport’s long-term future”. I can recall the days of starting our annual trip to reunite the kids with their US-based grandparents from London Heathrow. We had to either take the seemingly endless tube ride out to the airport from our former South London home, or battle hideous road traffic to arrive three hours before the flight and join throngs of people snaking through security. The contrast couldn’t be starker. For purely selfish reasons, I hope KLM does not stop serving Durham Tees Valley because as someone who left the bright lights of London behind three years ago and moved 250 miles north, this Dutch airline provides the only convenient way of accessing the rest of the world. 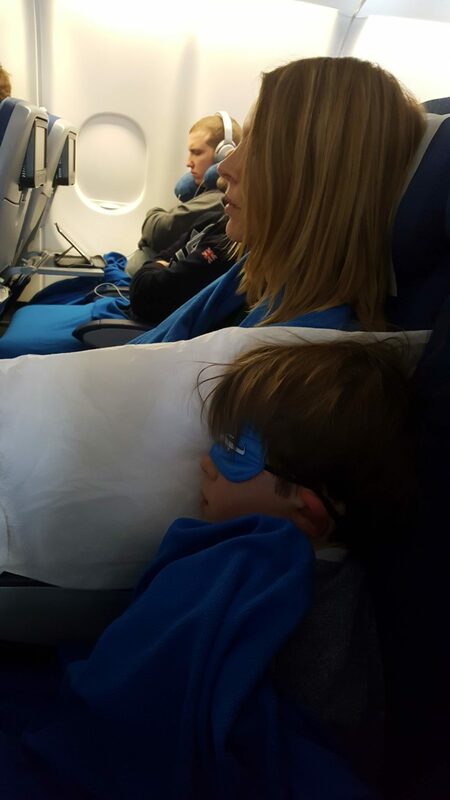 The flights themselves were uneventful, which is a good thing – particularly when traveling with children. Everything was on time and all four suitcases made the connection in Amsterdam to arrive, unscathed in Washington. The cabin crew were friendly, the food edible and the pilots communicative. If there’s an airline out there with economy-class seats in which it’s possible for an adult to achieve a wink of sleep, I’ve yet to encounter it so I won’t hold my sleepless overnight flight home against KLM. What did stand out was the difference between the cabins on the Airbus A330-300 flights to and from Washington. On the outbound flight the cabins looked tired and the IFE system was dated. Instead of the touchscreens we’ve all become so accustomed to, it featured those handsets-on-a-string that you have to extract from the arm of the seat and, if you’re me, pull until the end of the string is reached as you unsuccessfully attempt to coax it to spring back into the arm. Digital-age kids that they are, my nine- and six-year-old sons kept fruitlessly jabbing away at the monitor, which they assumed to be a touchscreen. 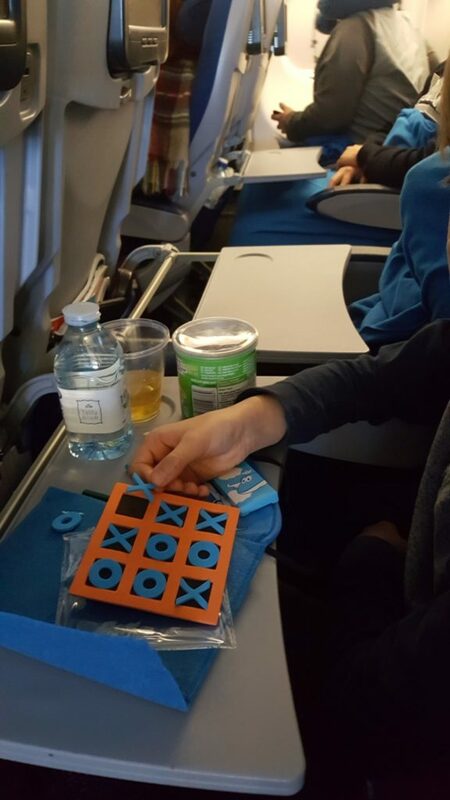 Luckily for them, the return flight was operated by a different A330 featuring KLM’s newly-revamped cabin interior, so they could jab away effectually at an actual touchscreen to access their Angry Birds games and Avengers movies. Their only real complaint was that the headsets required to listen to the IFE were not distributed until quite a while after takeoff. But that’s probably a complaint that should have been leveled at us, as all the other kids on the flight appeared to have their own headphones and were happily ensconced in their movies long before takeoff. 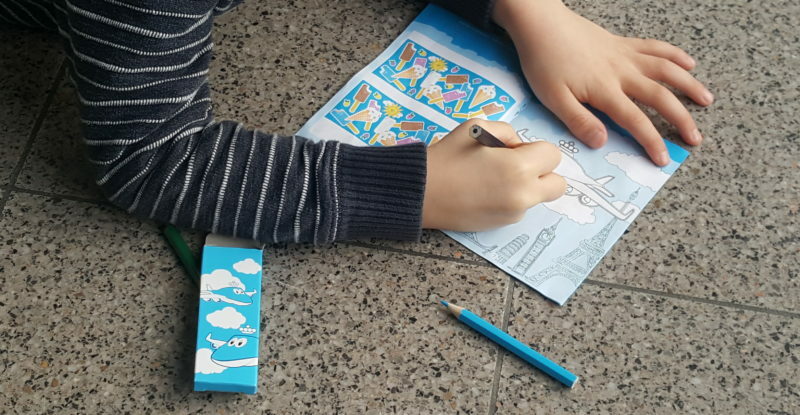 The kids were also kept busy, if for a limited time, by the noughts and crosses game and coloring book that was handed out to them as part f their KLM kids’ activity pack, which I thought was a nice touch. As with all tranfer passengers arriving from outside EU, there should be additional security checks in Amsterdam when arriving form Durham Tees Valley Airport after March 2019. Since the UK is already outside the Schengen area, the flights are handled in the “non-Schengen”/”non-EU” part of the terminal already. So very little should change for passengers on these flights after March 2019. Transferring from a UK regional flight to an EU destination is also the same at Schiphol now as if you had arrived from a USA flight for security and passport control.